Peter Foster started his career in 1963 with a four month technical assistants course at the BBC’s Wood Norton training facility. He then worked as an engineer looking after television cameras at the BBC studios at Alexandra Palace. In 1969 Peter relocated to Manchester and, as was typical in regional production, worked both on outside broadcast and studio-based production. As a vision engineer, Peter had the crucial task of operating numerous complex camera functions from within the outside broadcast truck. While camera operators controlled focus, zoom, and pan, the numerous control units for exposure and colour settings were so large that they had to be located on huge racks within the scanner. The responsibility for operating these fell to vision engineers who, throughout the transmission, continually adjusted settings depending on the particular shot called up by the director. Peter remembers that snooker, with its many different coloured balls set against a uniform green background, presented a particular challenge to vision engineers. Making red and brown balls distinguishable for the viewer took some considerable experimentation, skill, and patience from these engineers. 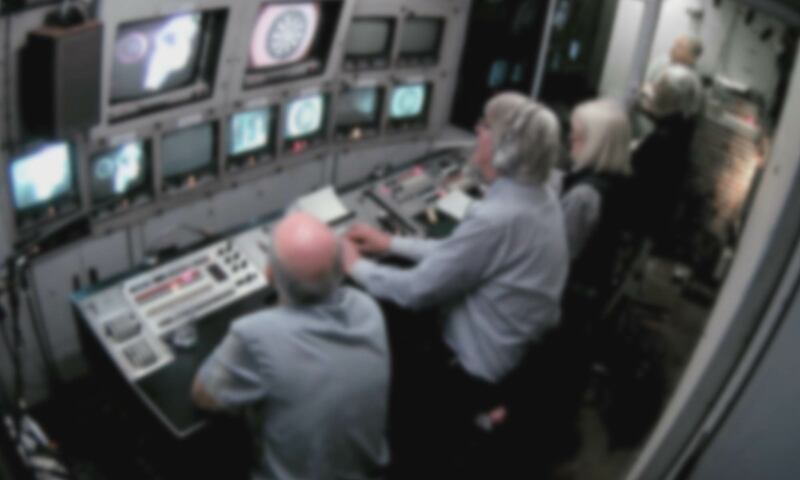 In his 33 years at the BBC, Peter worked as a vision engineer on a wide range of programmes including Top of the Pops, Juke Box Jury, The Good Old Days and of course, a full complement of sports coverage. Among the numerous high profile sporting events that Peter covered was the first live night-time sporting event to be televised – a late evening Rugby League match in early 1972. The stadium itself had no broadcast quality floodlights and so engineers had to supply numerous 10 kilowatt carbon arc lamps which could be rigged around the stadium. While these lights produced enough light for the cameras to cover the match, the carbon rods within them burnt out after just 40 minutes. Peter remembers a mad dash at half time as lighting engineers rushed to replace the carbon in the lamps before the match resumed.